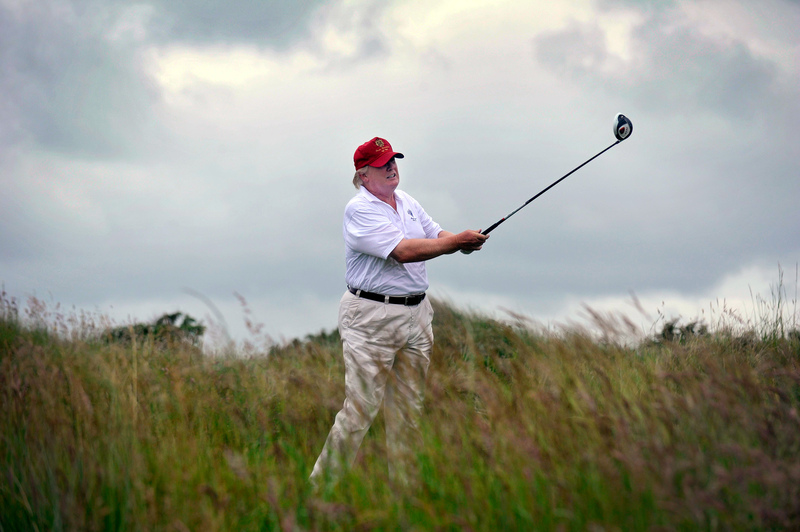 President Trump has told members of his New Jersey golf club that he spends so much time away from Washington because the White House is a "real dump." The White House did not immediately respond to a request for comment about the account, which appeared in a lengthy article posted on the website golf.com. The story on Trump's complicated love for golf also appears in Sports Illustrated magazine. The story recounts a scene in which Mr. Trump was chatting with some club members. Mr. Trump told the members he makes such frequent appearances at the property in Bedminster, New Jersey, because: "That White House is a real dump." The president late Wednesday strongly denied he had ever described it that way, tweeting, "I love the White House, one of the most beautiful buildings (homes) I have ever seen. But Fake News said I called it a dump - TOTALLY UNTRUE." Mr. Trump has spent nearly every weekend of his presidency visiting various properties he owns and leases, including Bedminster. Last month, Mr. Trump's Bedminster golf club hosted the U.S. Women's Open. During the tournament, Mr. Trump greeted golfers and tweeted about the tournament.